What Are The 4Cs Of Marketing? — Stratomic. In 1990, Robert Lauterborn proposed an alternative to the 4Ps Marketing Mix, known as the 4Cs of marketing. The 4Ps Marketing Mix is a business oriented model, which includes product, price, promotion and place. The newer 4Cs of marketing model was meant to be a more consumer-orientated version. It includes Consumer, Cost, Communication and Convenience. It focuses the marketer on targeting niches rather than mass markets. 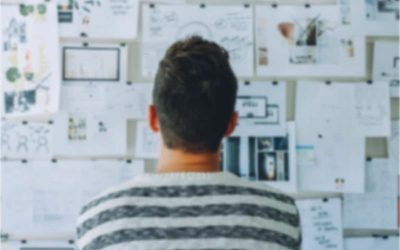 Through its focus on the consumer, the 4C’s marketing mix steps away from the traditional mass marketing approach and focuses on niche marketing. In mass marketing, the organisation developing the product often views the market with a very broad brush. There’s very little in-depth understanding of what the consumer truly wants from a product. Companies spend millions of dollars on consumer and market research to breach the knowledge gap. Even that won’t give all the answers though because there are many different buyer psychographics in a mass market audience. Niche marketing allows you to develop conversations that are almost one-to-one. There’s a more concerted effort to understand exactly who the customer is and what their actual needs, wants and desires are. It’s an opportunity to discover markets that are not rife with competition, but may prove to be lucrative if the need is strong enough. According to the 4Cs of marketing, companies should only sell products that the consumer wants to buy. Thus, you should research consumer wants and needs. The most effective way to do this is using Jobs to be Done and outcome-driven customer research. Once this is clear, focus your efforts on attracting consumers one-by-one with an irresistible offer. The product is at the core of any marketing effort. And if you work in a software company, it can become the main marketing vehicle. Though, the reality is that it’s just one piece of the puzzle. The product must solve a customer need or pain to be desirable, and to eliminate the competition it must be unique. The most lucrative way to do this is to unlock an untapped market and develop the product for the market. This is far more effective than trying to drop a ready-made product into a market that might want it. The aim is to understand the value that the product delivers to the customer both through the eyes of the developer and the consumer. The price is only a small part of the total cost to satisfy a product that a consumer wants or needs. The cost reflects the total cost of ownership, not just the price the consumer pays for the goods. Price becomes just one of many elements within the total cost of satisfying the customer’s need. 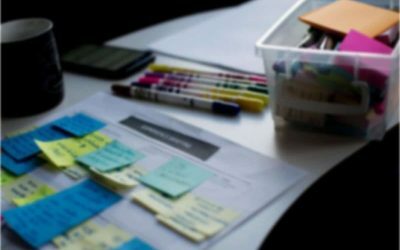 Cost could be influenced by the time spent acquiring the product or service, the cost of conscience when it comes to consuming the product and the cost of change or implementation. It could even include the cost of the buyer not selecting a competitor’s product or service. Many marketers mistakenly believe that the main motivation for purchasing a product is price. Positioning is far more important, as it directly influences perceived value. Price can be used as a positioning vehicle to deliver results. However, in the long term, it’s likely to cause more harm than good. This is particularly true if the price is lower than the cost of acquiring customers later in the product lifecycle. A focus on cost to satisfy the customer will ensure that more factors than just the purchase price are being considered. It drives a relentless focus on the customers’ experience. This stacks value well beyond the value your product delivers, and enables you to increase prices because value exchange happens sooner. Promotion suggests that the relationship is one-way, but with the rise of social media and the internet, “communication” is a better description. It represents a much broader focus on the entire buying experience. This is driven by the consumer of a product. It indicates that it’s a cooperative process that’s led by the buyer. The 4Ps Marketing Mix uses promotion as a vehicle to put information about the product or service in front of the consumer. 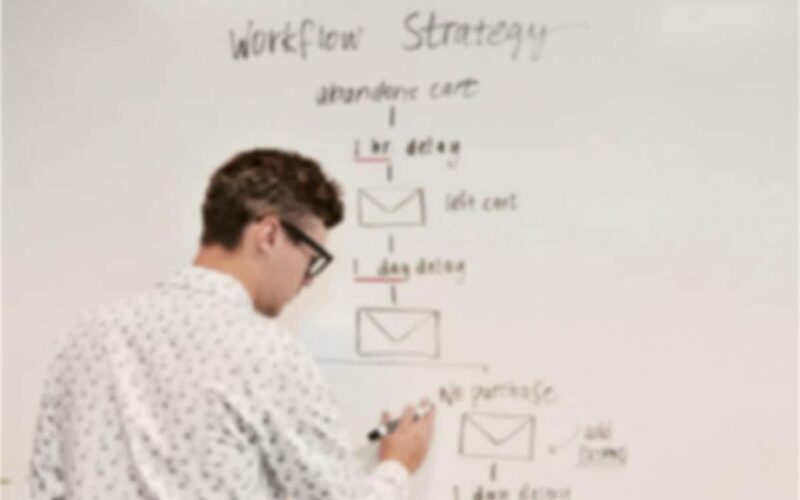 While these methods remain effective, limited funds or a product that solves a very specific problem needs a more nuanced approach to reaching the target audience. In that regard, the 4Cs of Marketing work towards establishing a dialogue with prospects. This is based on their needs and challenges. Your communications must be designed to build meaningful relationships because there’s more give-and-take between you and your buyer. It includes any form of advertising, public relations, viral marketing, or any other communication between you and your prospective buyer. Consumers aren’t limited to a just few places to satisfy their needs and wants. In a world where there’s too much choice, you must understand how the target market prefers to buy. Once you understand, you have to adapt. A customer is not bound to buying your product or service from a physical location. Convenience focuses on the ease of buying the product. You must build buying experiences that delight your ideal buyer. The Place element in the 4P model focuses on the traditional process of getting your product into the hands of your buyer. On the contrary, the convenience segment in the 4Cs of marketing framework focuses on the quality of the buying experience. This is exceptionally important for the modern buyer. 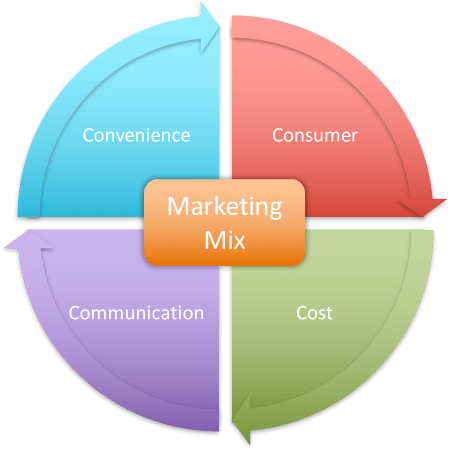 What Is The 4Ps Marketing Mix?